Future Simple vs. Future Continuous. 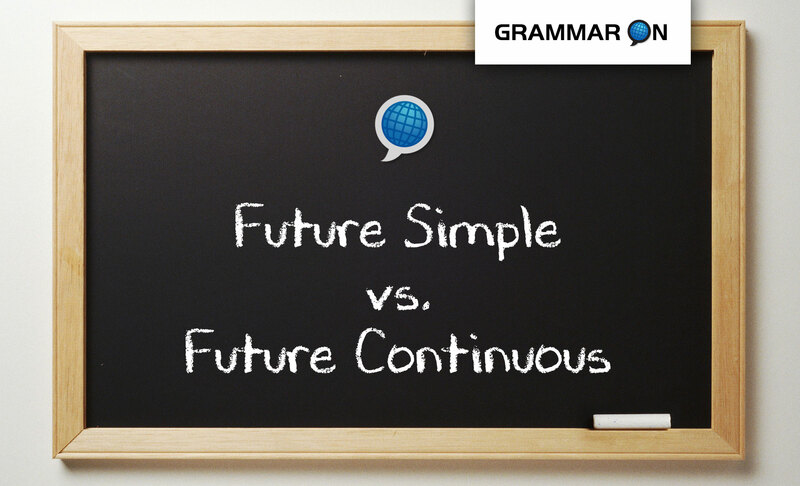 Learn how to use the future simple, also known as the simple future, and the future continuous in English. You will also learn the differences between the futures simple and the future continuous. 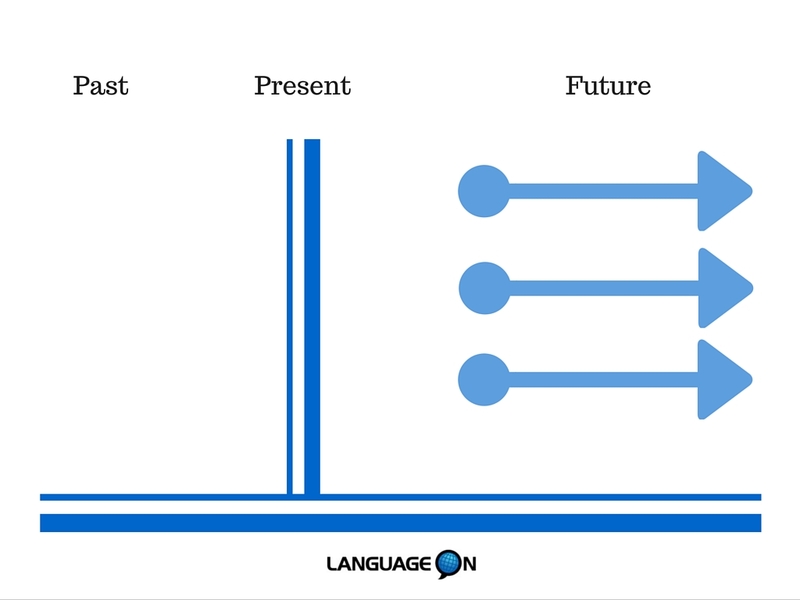 Lets study the future simple and the future continuous in English! We can use will or be going to when using the simple future in English. Keep reading to review the form and uses of the future simple in English. ** The verb is always in the base form. 1. Voluntary action: Are you cold? I will turn off the air conditioning? 1. Future Plan: We are going to watch a movie tonight. Both will and be going to have the same meaning when used in the continuous form. 1. To show a future action in progress during another shorter future action or a specific time. I am going to be sleeping when you arrive. She will be waiting for us when we arrive. Stacy is not going to be teaching next week. They won’t be coming with us on vacation. He is going to be working at 9:00 tonight. 2. To describe multiple actions happening at the same time in the future. When you arrive at school tomorrow, Hunter is going to be using the copier, Denis is going to be making coffee, Amy is going to be talking with Alice, and Scott is going to be making a call. When you arrive at school tomorrow, Hunter will be using the copier, Denis will be making coffee, Amy will be talking with Alice, and Scott will be making a call. Complete the sentences with an appropriate future form. Choose between the Future Simple (will or be going to) and the Future Continuous. More than one answer may be correct. 1. You look hungry; I _________________________ (make) you a sandwich. 2. John and I probably _________________________ (not / come) to the party because it looks like it _________________________ (rain). 3. I can’t have lunch at 2:00 because I _________________________ (have) an operation at that time. 4. You _________________________ (celebrate) your birthday at a beautiful restaurant and we _________________________ (fly) on a plane to Europe. 5. The class _________________________ (take) an exam at 9:00 tomorrow morning. 6. Promise me you _________________________ (not / call) before 10; I hate being woken up early! 7. Sarah and Frank _________________________ (go) to the gym after work today. 8. You guys _________________________ (have) a great time in the Bahamas! 9. I _________________________ (sleep) when you arrive so please try to be quiet. 10. When she arrives at the school tomorrow, Michael _________________________ (teach) the B2 class, Alex _________________________ (administer) a test, and Denis_________________________ (probably, talk) to a new student. If you have any questions, please email us or just comment below. I hope this lesson helped you learn the future simple and the future continuous in English. Have a nice day!